Did you know that Americans use almost as much petroleum on food as we do on transportation? We each consume about 400 gallons** of oil per year on agriculture. Farming machines (from tractors & tillers, to combines and harvesters) guzzle fuel, while petroleum-based fertilizers gobble up more than a quarter of all US farming energy. But transporting food accounts for the vast majority of petroleum in our diets. On average, each meal ingredient travels 1,500 miles before landing on your plate! It follows that eating locally-grown food dramatically reduces your oil consumption. Organic or not, local food is green food. 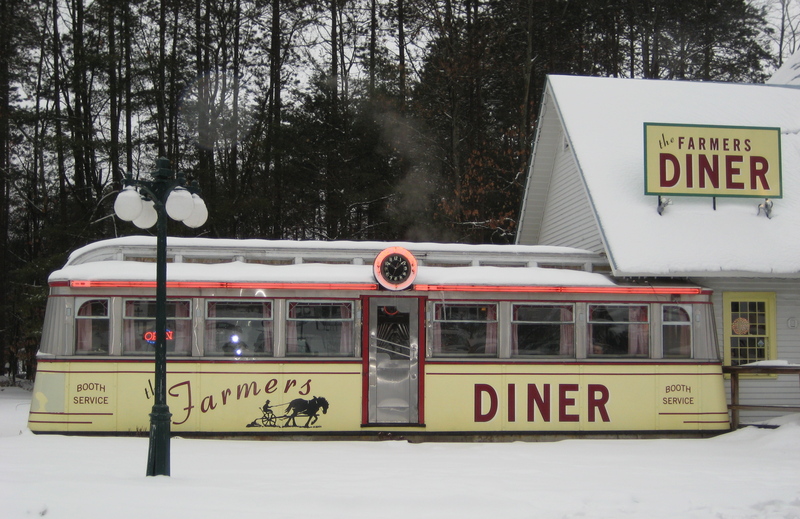 The Farmers Diner in Quechee, Vermont. 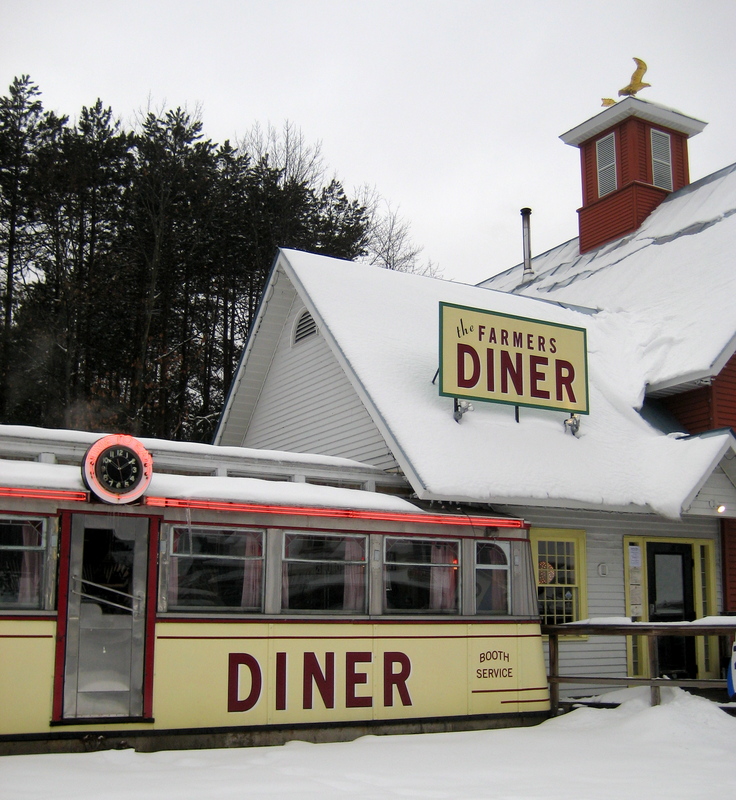 In nearby Quechee, Vermont, The Farmers Diner serves up tasty, affordable meals from local ingredients produced within a 70-mile radius. 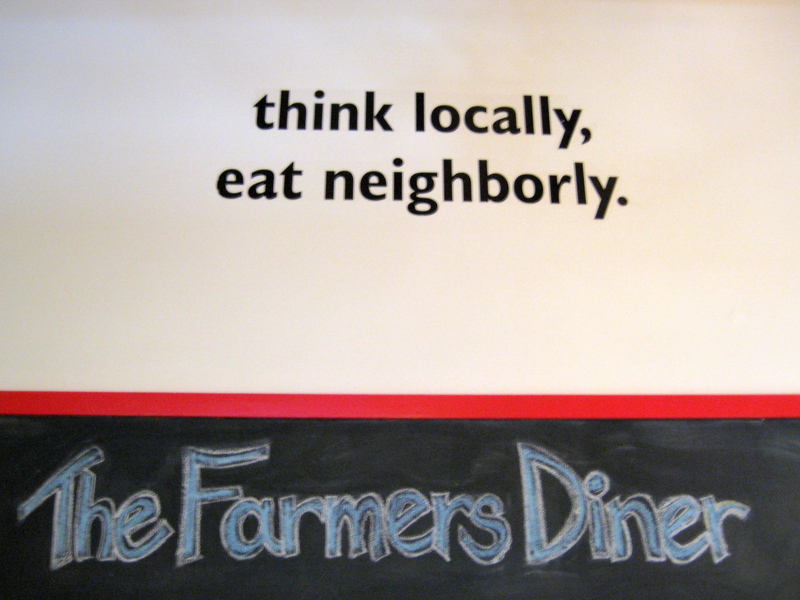 Serving food produced within an hour's drive, The Farmers Diner epitomizes local eating. 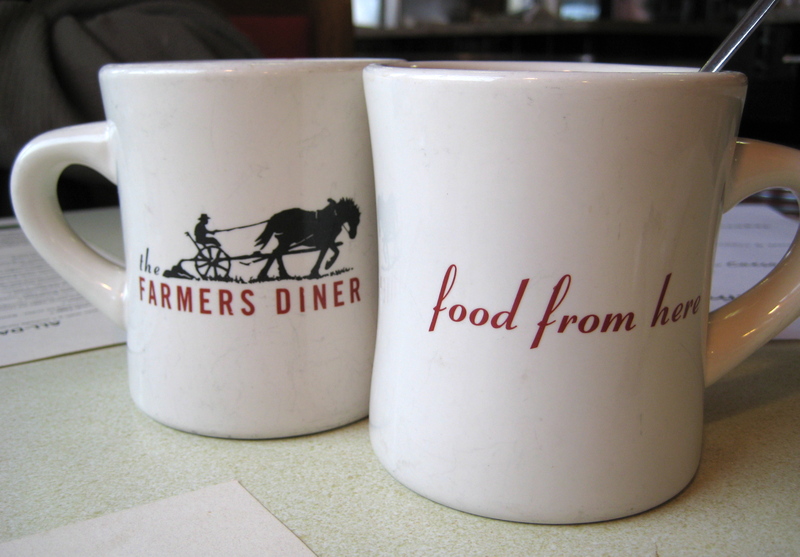 The Farmers Diner serves delicious, locally-roasted coffee from the Vermont Coffee Company. A visit to The Farmers Diner is a step back in time, but with an eye on our environmental future. From bacon, sausage & eggs, to bread, milk & cheese, to cider and maple syrup, The Farmers Diner serves locally produced food for your eating pleasure. 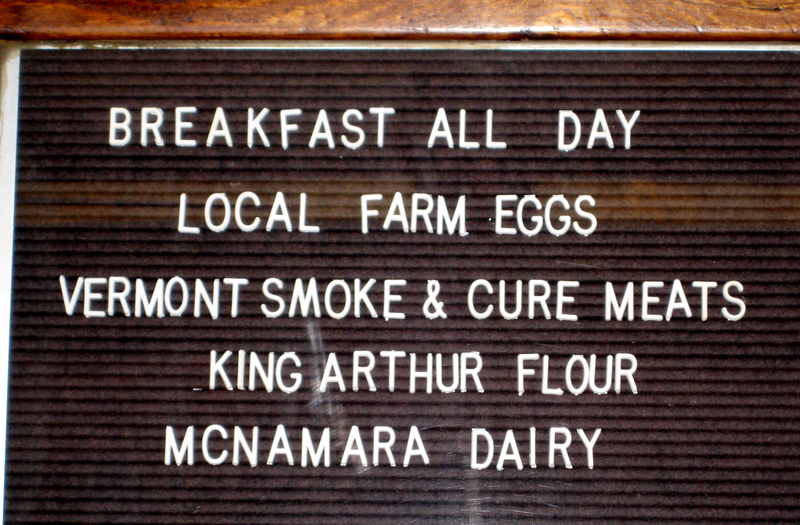 Local breakfast served all day. 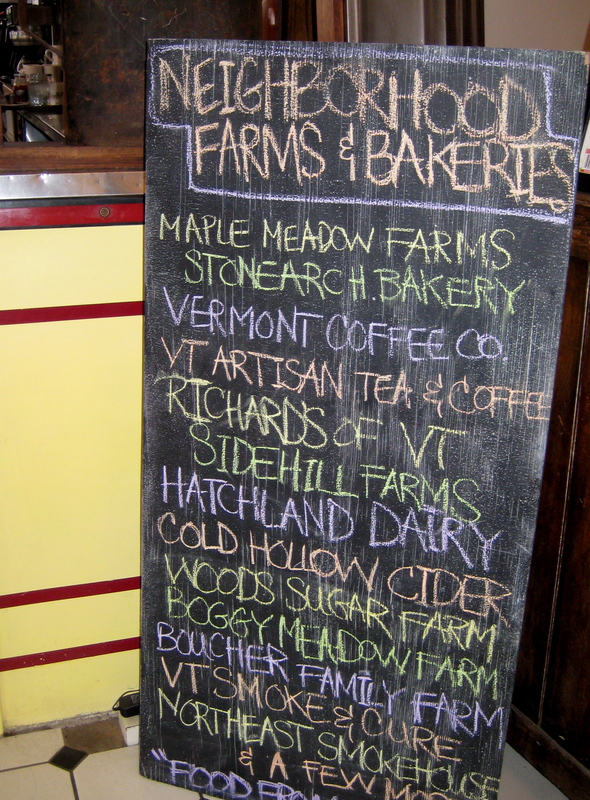 "Food From Here" is sourced from many neighboring farms and bakeries. For many of us, “Think globally, act locally” sounds good, but is too vague to help guide our daily choices. With such tasty advice, sometimes it is easy being green. **Special thanks to Barbara Kingsolver’s Animal, Vegetable, Miracle for facts, figures and inspiration. It’s easy to read, and full of tips and recipes. Highly recommended! This entry was posted in Upper Valley and tagged "Animal, 17 Days of Green, Barbara Kingsolver, localvore, Miracle", Quechee, The Farmers Diner, Vegetable, Vermont by Carrie Cahill Mulligan. Bookmark the permalink. 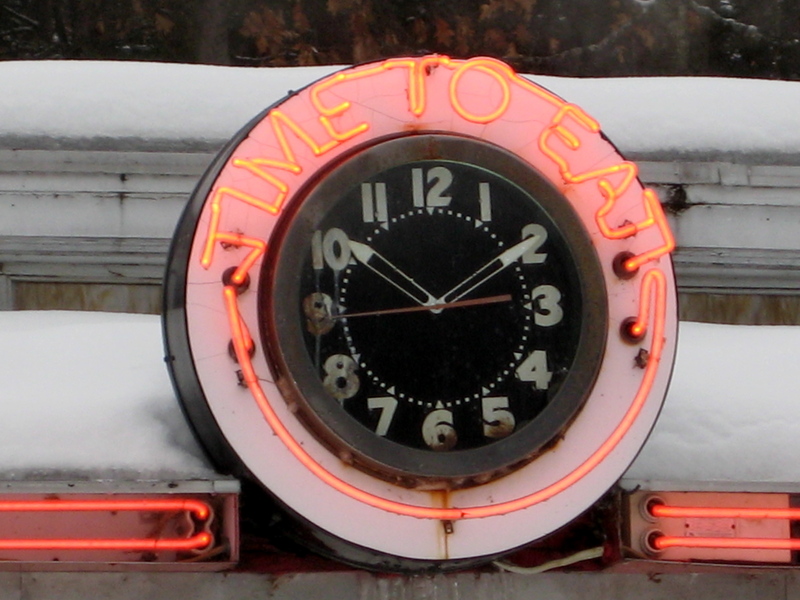 Great stuff….I’ve eaten there before. Thanks for the post. Thank you! It’s a topic very near my heart. I love that you went in this direction for a “green” topic. 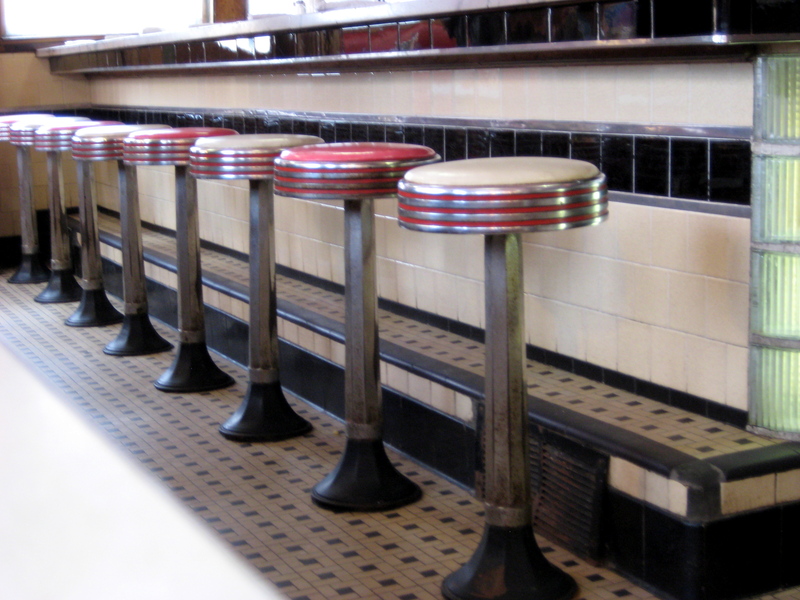 I adore diners! I live in the Jersey-vania area (close to Philadelphia) and there are diners galore. I know some things are locally made, but i don’t know to what extent. I’m just happy to patronize small businesses. Thanks, Somer. As they say, once a tree-hugging-hippie-park-ranger, always a tree-hugging-hippie-park-ranger! I grew up on the West Coast & don’t think I stepped into a real diner until I moved here 8 years ago. They are all so cool to me! It’s always worth asking your favorite small restaurant if any of their dishes use local ingredients. I’m sure they very much appreciate your patronage. Sometimes, it’s the asking that gets the ball of change rolling, however slowly. Thank you for the great words about the Farmers Diner! We are happy to have diners like you! Say hello next time you are in. See you soon. Absolutely. It’s a pleasure to focus on a local business doing right by our community & our environment. I think we’ll have to come back soon for lunch. I hear great things about your chocolate milkshakes!